Aidan Coleman after the first Grade One victory of his career aboard Paisley Park in the JLT (Long Walk) Hurdle at Ascot. And it was just reward for the Irishman, who steered PAISLEY PARK to victory in the JLT Hurdle (best known as the Long Walk Hurdle) at Ascot just before Christmas. In total, Coleman recorded 11 victories from 60 rides at a strike rate of 18 per cent during December, including a double at Doncaster on December 15, which all saw him rise to fifth place in the Stobart Jump Jockeys’ Championship table. 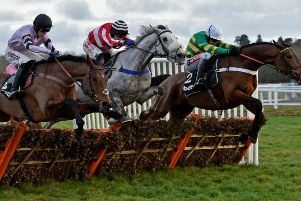 The Cheltenham-based jockey was delighted to be crowned jockey of the month for the first time and he reflected on not only his own first Grade One win, but also that of Paisley Park’s trainer, Emma Lavelle. “It feels amazing to win the Stobart jockey of the month prize,” Coleman said. “When you look at all the jockeys riding at the moment, to be up for the award with the likes of Harry Cobden and Nico de Boinville who are two exceptional riders, that is special in itself. “To win it feels even better and I couldn’t be happier. “It was a fantastic day at Ascot from many different angles. Winning my first Grade One was only a small part of it. It was also Emma’s first Grade One, and I was over the moon for her. “From a personal point of view, it was just an incredible feeling to finally get that Grade One victory that I’ve been waiting so long for, and it was all the sweeter for the wait. Hopefully, I won’t have to wait as long for the next one, or I’ll be retired! 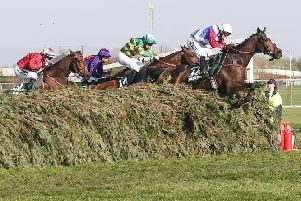 The Stobart jockey of the month competition is run in conjunction with Great British Racing, which is the marketing and promotional arm of British horse racing. In winning the award, Coleman will receive £1,000, as well as £500 to donate to a charity of his choice. He selected Racing Welfare as the charity for his donation. Meanwhile, at the time of writing, Coleman still sits fifth in the jump jockeys’ title race, with 70 wins from 414 rides for a 17 per cent strike rate. Reigning champion Richard Johnson heads the table with 158 winners, from Harry Skelton with 131, Brian Hughes with 112 and Sam Twiston-Davies with 73.